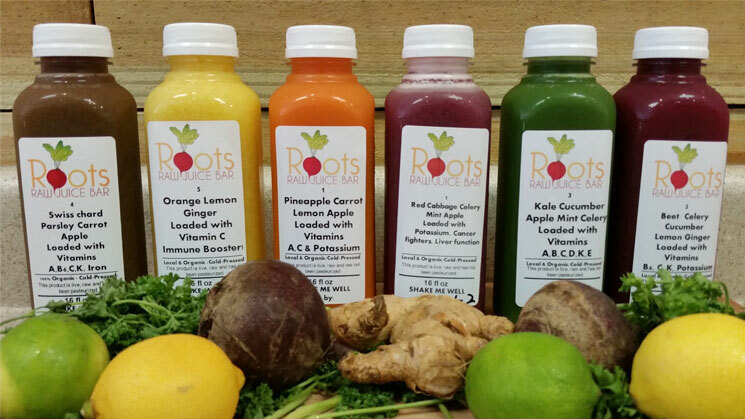 Welcome to Root’s all natural juice and smoothie bar! Fresh fruits and veggies provide some of the bodies most basic nutrients. Did you know that sunflower sprouts are high in protein, which is essential in bone development, muscle repair, and enzymatic function? Blueberries are among the highest anti-oxidant value fruits. Antioxidants help protect the human body against cancers, aging, degenerative diseases, and infections. Bananas are rich in Potassium, an important component that helps control heart rate and blood pressure. Mother Nature has a way of giving us what our bodies need, and Root’s offers many delicious ways to feed your mind and body. Follow us on FB!